MEADOW CLARY seeds (salvia pratensis) from Wildflowers UK. 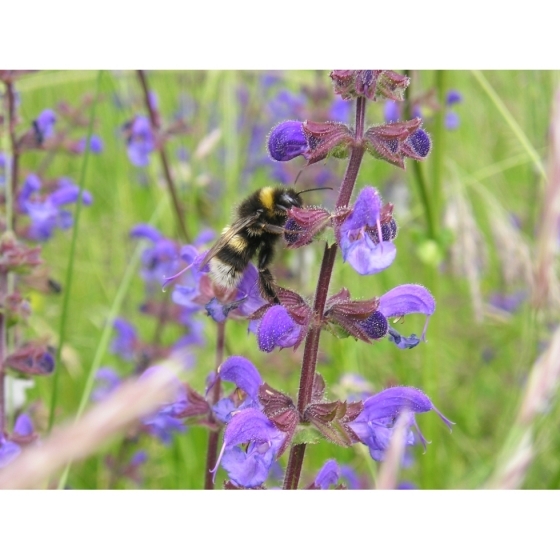 Meadow Clary -salvia pratensis – grows best in light well-drained grassland and is suited to chalk and limestone soils on sites in sun or semi-shade. It is one of the most beautiful of all meadow plants but sadly now rare in the wild. Plants are useful for attracting insect life such as Bees, and Butterflies. 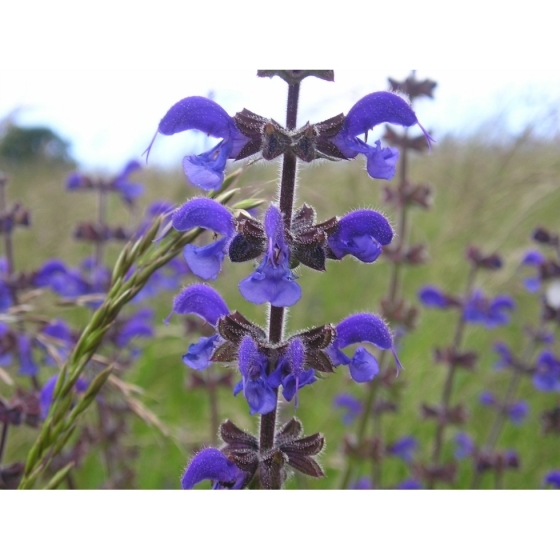 Meadow Clary typically grows to about 2 or 3 feet high and has rich blue flowers in June and July. Plants look best growing with other chalk and limestone wild flowers that bloom in early to mid-summer such as Oxeye daisies, Greater Knapweed, Meadow Cranesbills and Field Scabious. Meadow Clary seeds should be sown in spring or autumn, in seed trays and covered lightly with compost. Meadow Clary seeds are not easy to germinate and trays should be left outside in a cold frame and kept moist until conditions are right to facilitate germination. The seedlings, can then be pricked out and grown on, for planting out later in the year. 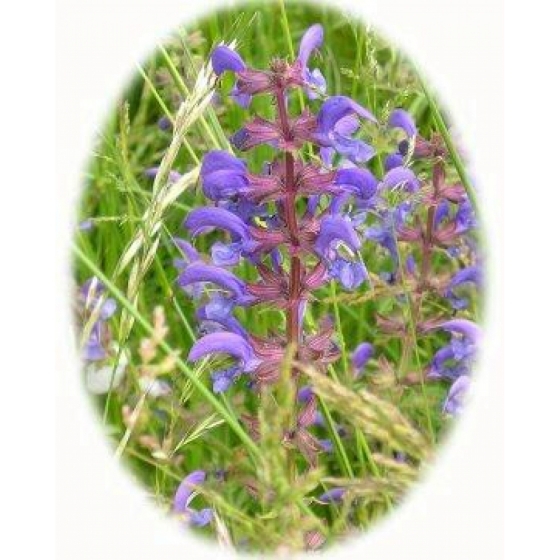 To purchase Meadow Clary seeds, please select a quantity above and click add to cart. To ensure the best chance of success, we sell all of our wildflower seeds by weight, which ensures each wildflower seed packet contains a good quantity of seeds. 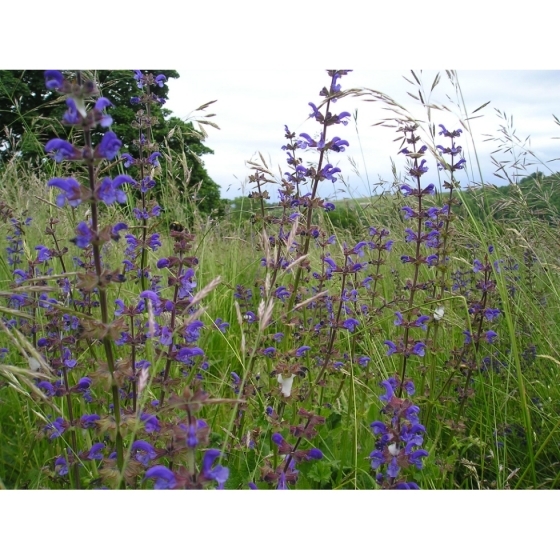 The recommended sowing rate is 1 gram per square metre, and the number of Meadow Clary seeds per gram is approx. 1200. All of our Wildflower seed packets contain seeds of Native British provenance.